It’s Gruff’s fifth birthday tomorrow, he is so excited. No, he is beyond excited. He is in the beyond excited realm that little boys go to on the eve of their birthday. Please, please go to sleep, I have presents to wrap! 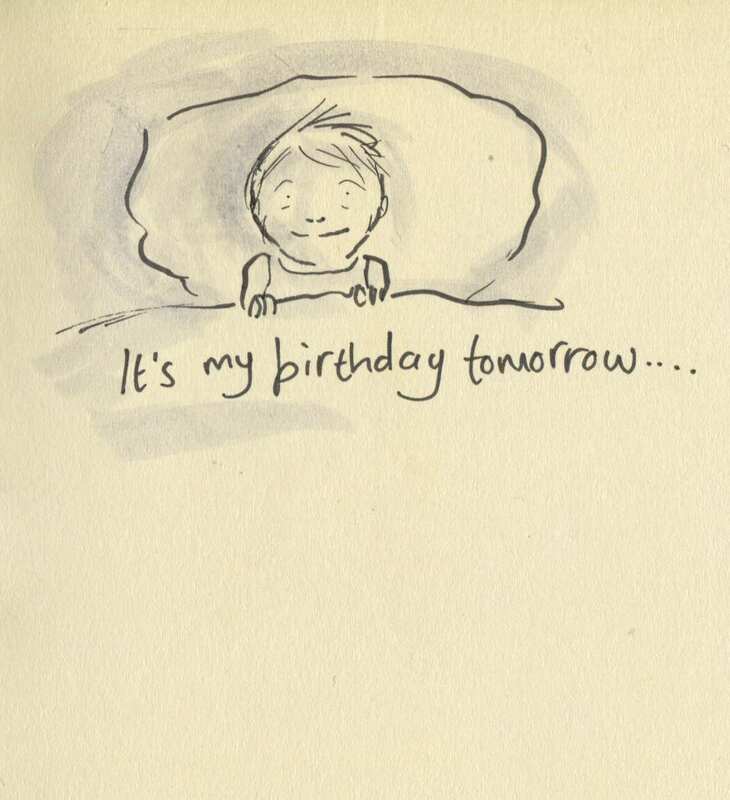 Posted on November 9, 2014, in Uncategorized and tagged Birthdays, Children, Doodlemum, Drawing, Family, Humour, Illustration, Life, Pen and Ink, Sketchbook. Bookmark the permalink. 5 Comments. That’s such a great expression! Have a lovely birthday, Gruff. HE looks so tired. Don’t you love them to bits!